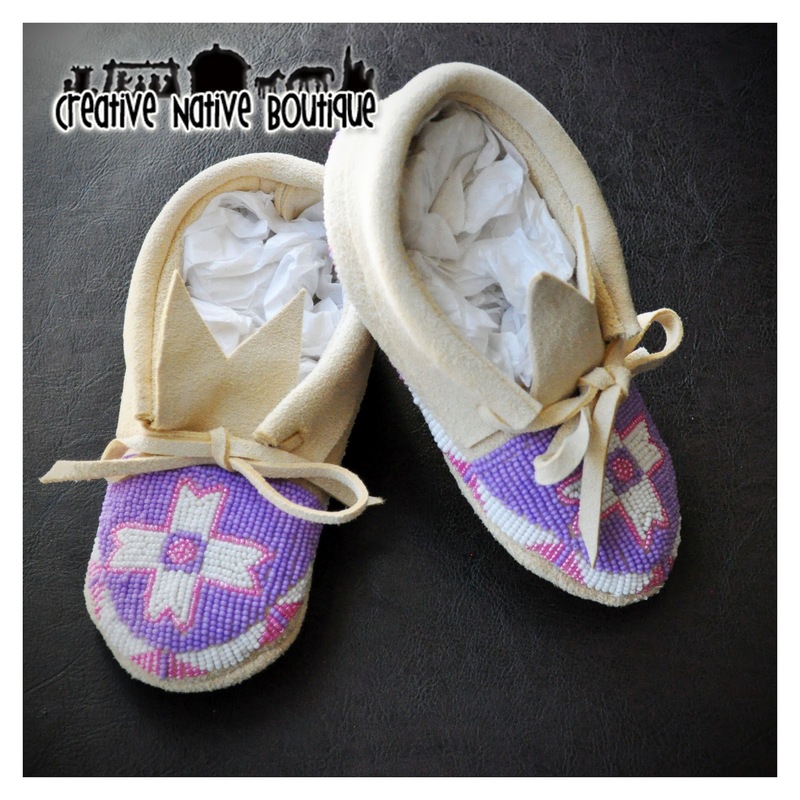 I've been busy working on these little girls moccasins. 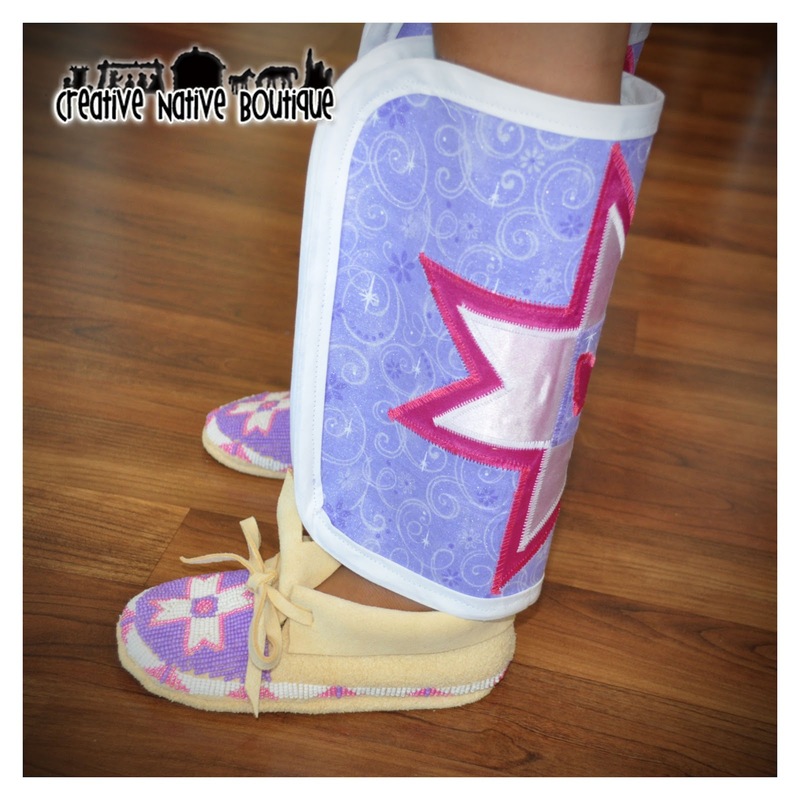 They are fully beaded and are made to match her cute little pink Jingle dress. I love this design. It looks like a star quilt block. Very striking. 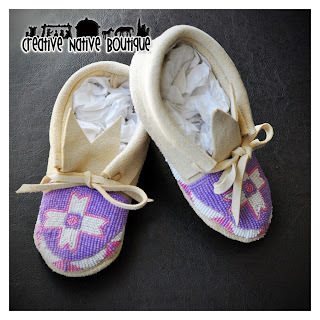 The purple and pink are as girly as can be. So cute! Here are the leggings to match. 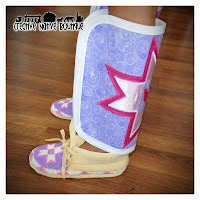 I appliquéd the design together with satin fabrics and sewed them to a lavender cotton. They zip up in the front. Love the colors together and how they coordinate with the itty bitty moccasins! 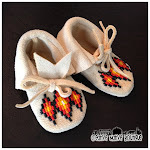 One last shot of the moccasins.